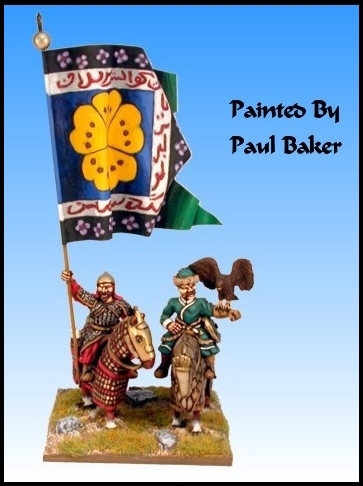 I've been working on a new 15 mm Islamic Persian project. I was initially attracted by the idea of a colourful force that I could use to play both DBM and DBR. For the latter this would also be quite a change from my ECW and TYW armies. 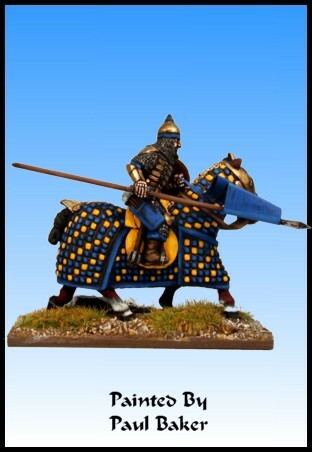 The challenge was the chequered horse barding in 15 mm. The first few figures went well but I got stuck using blue and white for the pattern. Then I found Paul Baker's excellent work. The variety of colour schemes and patterns helped me enormously. My task now is to find a way to speed up so that I can produce a full DBM/R army. At the moment it looks like I might only make a DBA sized force: we'll see.